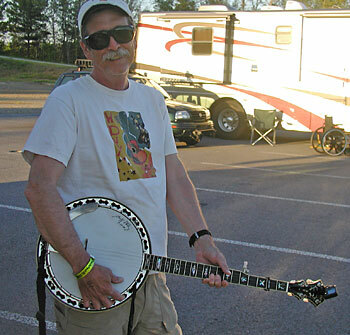 I have been traveling around the country visiting various Americana and Bluegrass festivals for over 20 years. At some point I decided to write down aspects of my travel and experiences. Over the years I have seen over 1500 different shows by hundreds of acts. I have attended the major Americana/Bluegrass events in the east annually since about 1994. There are few current touring acts in the Americana/Bluegrass realm that I have not gotten to see. I have opinions about these shows and this is the place where I will share my thoughts. I have to warn you that I am particularly a fan of the musical place where bluegrass and other genres collide. The two groups that have had the most profound effect on me are the Grateful Dead and the Newgrass Revival. The Dead introduced me to country music. At my first show in Philadelphia in 1973, the band played this tune called Tennessee Jed. I was a student at the University of Tennessee, so when the chorus went, “Tennessee, Tennessee, there’s no place I’d rather be,” I was hooked on both the Dead and country oriented music. While in Tennessee, in 1973, I purchased a ‘cutout’ album by this group called the Newgrass Revial for 72 cents. When I played the album with its mix of bluegrass and Dead-like extended jams, I was hooked on Sam Bush and his music. I’ve been following Sammy around for many years and have seen him or the NGR over 35 times throughout the years. As for baseball, I am a past player, coach, and umpire. I had the fortune of growing up near Pittsburgh when the Great Roberto Clemente was patrolling right field at Forbes Field. And the Pirates were good. Three World Series titles in 19 years. I have become a big fan of minor league baseball with its silly promotions and events as well as the hopes and dreams of the players. The ballparks are neat too. I have toured many minor league parks in the east and intend to do more of this in my retirement. I hope you enjoy my diatribes. If you do, or if you don’t, let me know.